You’re working many hours. Your retail store or online shop are doing well, but you are making just enough to pay yourself. You aren’t sure if you’ll get a return on your investment if you hire help. I completely get it. My sister and I were almost one year into running our home decor boutique when we realized we needed help, but we were afraid to take the hiring leap. We wrote a simple blog post announcing that we were looking for an intern. A non-paid intern. Our blog posts automatically get sent to our email list. At the time, the email was probably sent to a few hundred people, but I wanted a little more exposure so I created a simple graphic in Canva and shared our announcement on Facebook and Instagram. I made sure I included a link to the blog post. It worked! We had five people inquire about the position and I interviewed two of them. One of them was the perfect fit for us and our boutique. Who to target when seeking an intern – Your clients and customers love what you do. Some of your followers may be dreaming of running their own business so reach out to everyone who follows you. Don’t be afraid to say that it’s a non-paid position – There are many people, of all ages, who are interested in learning. Some want to learn a new skill, or some may be building their resume. Either person has the potential to be the right fit for you. What are you offering? – Highlight the skill(s) your intern will gain from working with you. For us, our intern was going to learn all about running an Etsy shop. This included learning how to ship items and how to photograph products with a DSLR camera. Be clear about the position and what it entails – Use the listing to lay out the details: how many hours the person will work, where will they work, is parking available or can you offer to pay for their parking, what kinds of skills should they already have, what skills will they learn being part of your team, etc. Share if there is potential for growth – If you think the position could grow into a paid position or the intern could learn additional skills, then be sure to say this! How to contact you – This is completely up to you. You can have them call you; maybe you want to hear the person’s voice and have an actual conversation with them. Or maybe you prefer an email with a resume. Just be sure to include contact information. Terms – Offer a 90-day internship with an evaluation once the term ends. This is a great way to determine if the internship is a good fit—for both of you. Remember, this is your business. You choose the length of the internship. Do what makes you feel comfortable and allow yourself the opportunity to see if the intern is worth hiring down the road. If this approach didn’t work, my next move would have been to contact local colleges. I would have targeted schools with a focus on design due to the nature of our business. Luckily for us, we found the right person. When you are building a small business sometimes it’s important, and comforting, to take baby steps. Not all retailers have big budgets, I get it. Now go write your ad, create your graphic and SHARE it! If you are looking to be a savvy shopkeeper, this is the place for you. Subscribe above to receive emails or follow along on Facebook or Instagram. Want to engage with fellow shopkeepers? 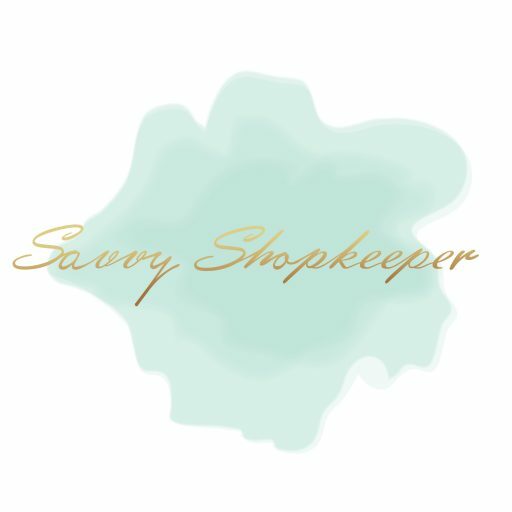 Join the Savvy Shopkeepers Facebook Group. « The most important trait you need when bootstrapping a retail business. Deep sigh! This is where I’m at in my business. I work a 9-to-5 job but I actually work almost 60 hours a week, I’m finishing my senior year of undergrad, AND I have a husband and a 14 yo and a 3 yo (he was a great idea that night). Owning a brick and mortar is my ultimate dream but I equally love my job most of the time. The only thing is I work in a glass box so I have no contact with the outside world for 4-6 hours at a time (I make IVs from scratch for an infusion company so the entire environment is sterile). I need customer service help during the day when I can’t respond immediately to emails and/or social media post. I can completely relate! Do you think you’ll try hiring an intern? It sounds like that might be ideal for you. Customer service and timely responses are so important and it sounds like you can use the help. Virtual assistants are a popular option too for what you need. That might be worth looking into!